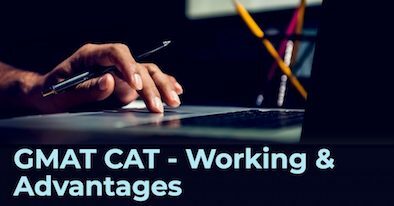 Understanding how CATs work can dramatically improve your GMAT score. It allows you to roughly gauge your performance in real time, helps in building your test-taking strategy, and much more. In this article, we’ll discuss in detail all that you need to know about computer adaptive tests, how GMAT fits into the picture, and what it means for you as a GMAT taker. Why is the GMAT computer adaptive? How does the GMAT, a computer adaptive test, work? 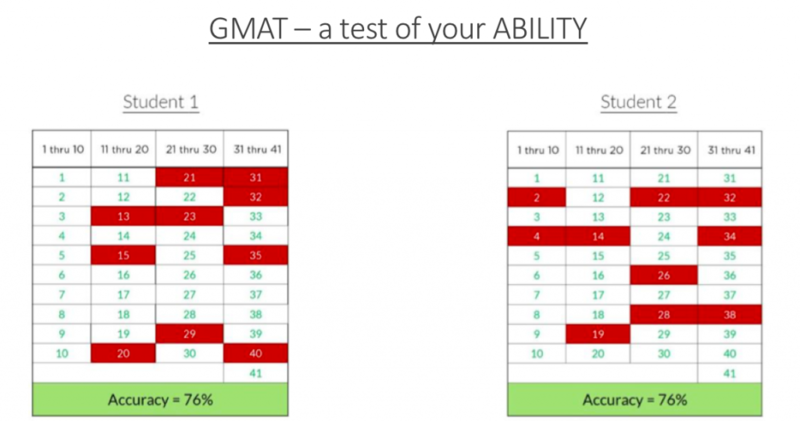 How does the GMAT’s adaptive nature impact your score? How does the structure of the GMAT CAT impact your preparation strategy? This article is the first in a series aimed at decoding some of the finer aspects of the GMAT. Our aim is to empower you to give your best on your test day. To learn how to best manage your time on the GMAT, read our article on ‘Time management on the GMAT’. In 1953, the organization now called the Graduate Management Admission Council (GMAC) began as an association of nine business schools. The goal of this organization was to develop a standardized test to help business schools select qualified applicants. The intended purpose of the GMAT is to predict student success in graduate business programs. According to GMAC, there is a 0.459 correlation (21% variance) between total GMAT scores and mid-program student grades based on data it collected between 1997 and 2004. Thus, the focus of the GMAT is to provide a precise and reliable measure of ability. This contrasts with other standardized tests such as the GRE (Graduate Record Examination) and CAT (Common Admission Test). Over 200,000 people take the GMAT every year, and one of the most challenging jobs that the test must do is to rank these individuals in the relative order of ability in the context of the skills required by B-Schools. The challenge is to do it in a precise manner based on how students perform on a 3-hour exam. 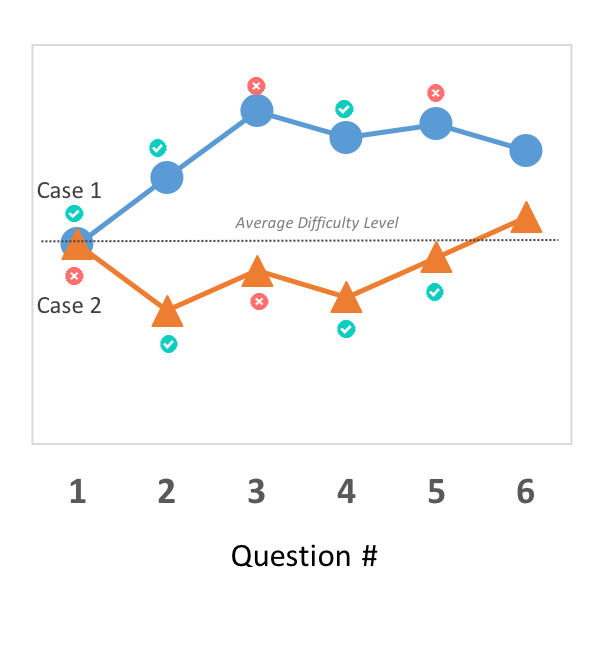 Based on their research, the folks at GMAC concluded that one of the most efficient ways to gauge people’s abilities in the shortest amount of time is by making the test adaptive. GMAT is a test of your ability to reason logically. It tests this ability in both Quantitative and Verbal sections. Consequently, GMAT Verbal is not about merely learning grammar rules and reading fast, rather it is about being able to select the most “effective” sentence in GMAT Sentence Correction and understand the author’s reasoning/intent in GMAT Critical Reasoning and GMAT Reading Comprehension. It is important to make a note of this, as it forms the basis of understanding the rest of this article. Before we can understand how the GMAT works, we need to understand more about the principles of adaptive testing in general. Thus, we can conclude from above that the GMAT is a test of ability. It adapts to the test takers ability level determined by the correct responses in previous questions. The following example should make this point crystal clear. Consider yourself taking a test having ten questions. If you answer 8 out of the 10 questions correctly, then your accuracy is 80%. Now, a group of other people takes the same test, and 50% of the group answers 8 or more questions correctly. Then, your ability is 50 Percentile. Thus, 80% accuracy corresponds to 50 percentile ability. Let us consider another scenario. If in the same test only 5% of the group of test takers answer 8 or more questions correctly then, your ability is 95 Percentile. The GMAT arrives at your score in a very similar manner. 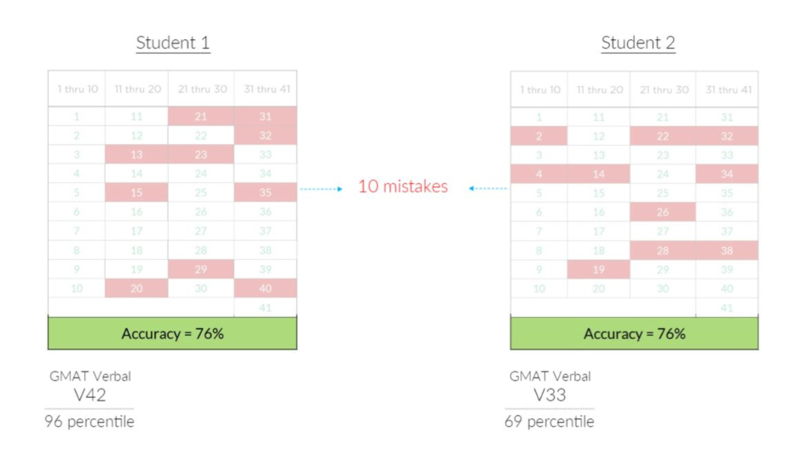 The key takeaway here is that in a computer adaptive test, such as the GMAT, accuracy is not the best measure of test performance. 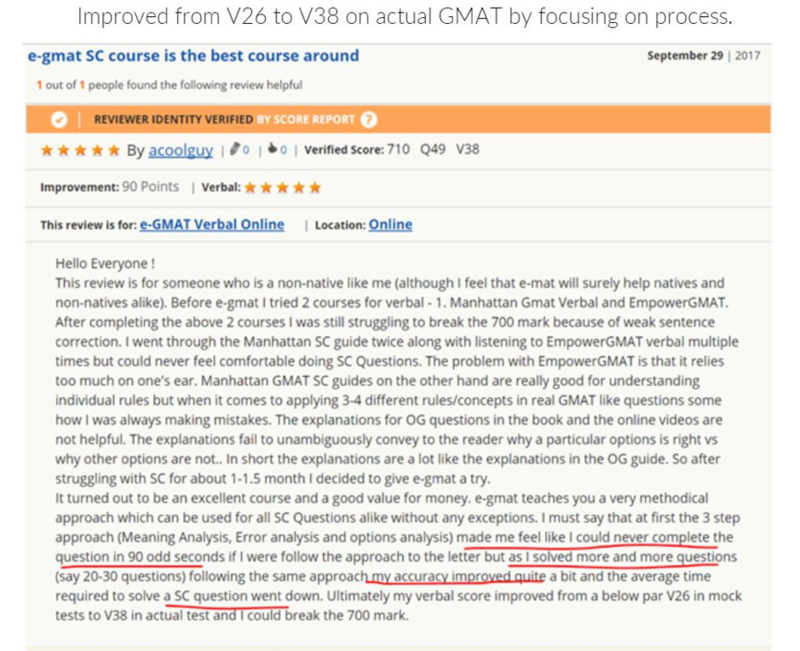 The following example shows two GMAT Prep Mock test attempts which provide further evidence. Consider the following 2 GMAT Prep mock test attempts to see how the GMAT adaptive test, is focused on measuring ability. Your GMAT score is governed by your ABILITY to answer DIFFICULT QUESTIONS CORRECTLY. In the above image, the red boxes indicate the questions answered incorrectly by a student. Overall, both students 1 & 2 answered 10 questions out of 41 questions in the verbal section incorrectly. Thus, they have identical accuracies of 76%. But if we look at their GMAT Verbal scores and percentiles, their abilities are vastly different. While student 1 scores a V42 which corresponds to a 96 percentile, student 2 scores V33 which is a 69-percentile score. Remember, their accuracy is the same. However, their abilities, and hence their GMAT scores are vastly different. In the GMAT, you can get to a high score such as 760+ while still making a few errors. How does the GMAT adaptive testing algorithm work? The computer estimates the examinee’s final score from his responses and the difficulty of the limited number of questions he has received. Correct responses to relatively hard questions will result in higher estimated scores. Incorrect responses to relatively easy questions will result in lower estimated scores. One of the best “next questions” is administered next. 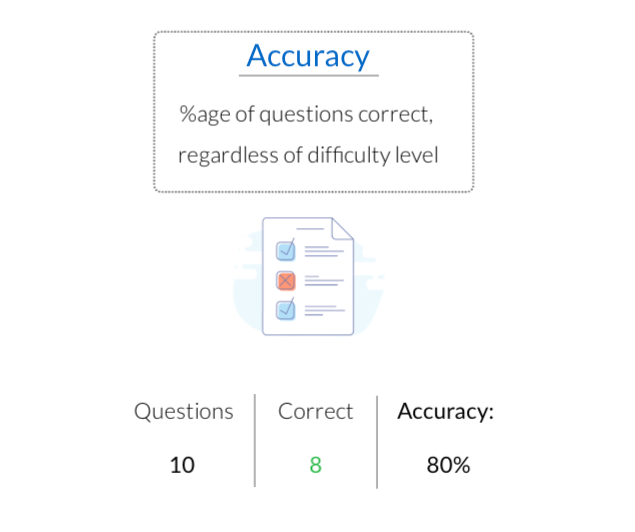 Typically, the best “next questions” will be relatively harder as the estimated score gets higher and relatively easier as the estimated score gets lower. Steps 1 through 4 are repeated until the required number of questions has been administered to ensure test accuracy and reliability. The GMAT starts with a block of questions around median difficulty, these are selected randomly as the test does not have an estimate of your ability in the beginning. Based on your responses to these questions and comparing your responses to the historical responses of other candidates, it either increases or decreases the difficulty level of the next set of questions. It then reassesses your response to the second block of questions to arrive at another estimate. Now, based on this estimate, it adjusts the difficulty level of the third block of questions. This continues until it reaches the question limit for the section. 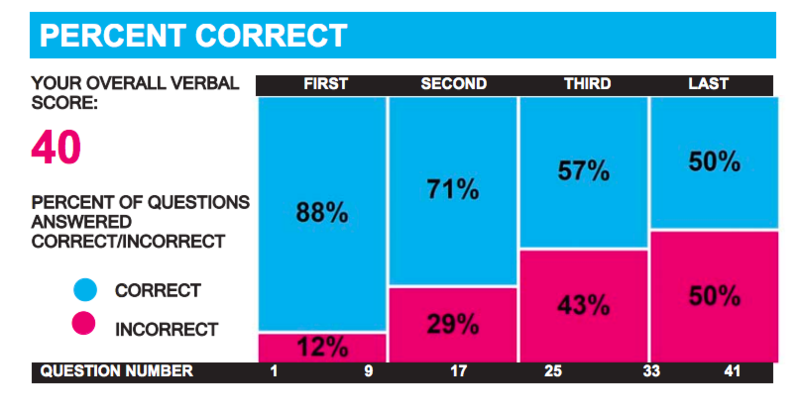 The above graphic shows the percentage of correct/incorrect questions answered by a GMAT test taker in the Verbal section. Considering the number of questions in each set as 10, this student cumulatively answered around 12-13 questions incorrectly out of the total 41 questions. Thus, even with 68% – 71% accuracy, the student’s score of V40 corresponds to an ability of 91 percentile. Thus, once the student proved his ability in the first and second subsection of verbal, his mistakes in the second half of the test did not affect his score by a huge margin. You can see here, that the strategy the student employed here is that of “Build-Build-Maintain-Maintain” as explained in this article on GMAT Timing Strategies. Thus, the key takeaway here is that as the number of questions you answer incorrectly doesn’t determine your score, the GMAT is a forgiving test. Also, our research shows that difficult question can carry up to 3X as many points in the GMAT. Since the GMAT is a test of ability, your focus while preparing for the test should be to build your ability. Focus on learning the process to solve a different kind of questions. When preparing for a sub-section such as Reading Comprehension in Verbal or Algebra in Quantitative, make sure you master the topic and reach 80% or greater ability before moving on to another topic. This ability you build during the preparation will give you the confidence to tackle the tougher questions that you may face in the test. Not only should you focus on building ability during preparation, but you should also measure your progress in terms of improvement of your ability. This can be during mock tests or specifically designed questions sets to measure improvement in the ability of a weak area. Initially, you may take more time in solving questions, especially when you are learning to apply a process to solve questions. But, once you are adept at the application of the process, your timing will improve. It gets even better with the number of questions you solve while applying the processes for different question types in both verbal and quantitative. In conclusion, the GMAT CAT (computer adaptive test) is a test of skill rather than outright accuracy. Thus, to achieve a high score you should focus on mastering concepts and their application rather than covering the syllabus. A clear understanding of the adaptive nature of the GMAT will help in creating your strategy to ace the GMAT. If you have already achieved the required ability levels in all sub-sections of the GMAT, our article on time management strategies to ensure a high score in the GMAT will prove indispensable in devising the right time management strategy for your GMAT attempt. As always, for any other questions please write to us at acethegmat@e-gmat.com.